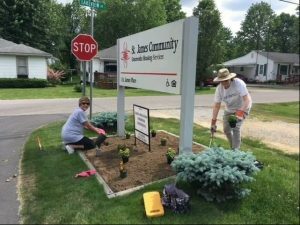 St. James Community, located in Scottsburg, Indiana, was recently blessed by the employees of Multi-Color Corporation who donated their time and lots of hard work during the annual United Way of Scott County Day of Caring. 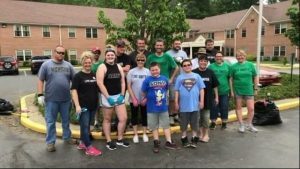 The Multi-Color Corporation spent several hours one evening in May completing several projects outside the property of St. James Community. They moved two tons of large rock by hand, gathered debris around the property and planted several plants. St. James Community is very thankful for all of their hard work and appreciate the donation of their time and service!